West Sussex County Council Planning Committee on 19th June 2018 refused in an 8 to 4 vote the planning application by Britaniacrest, for a Recycling, Recovery and Renewable Energy Facility at the Former Wealden Brickworks in Horsham, application WSCC/015/18/NH. Britaniacrest has until 11th January 2019 to appeal. They may wish to wait and see the Autumn Budget and Defra’s Resources and Waste Strategy Reforms in November / December 2018. If Britaniacrest does appeal the application would be subject to a Public Inquiry. 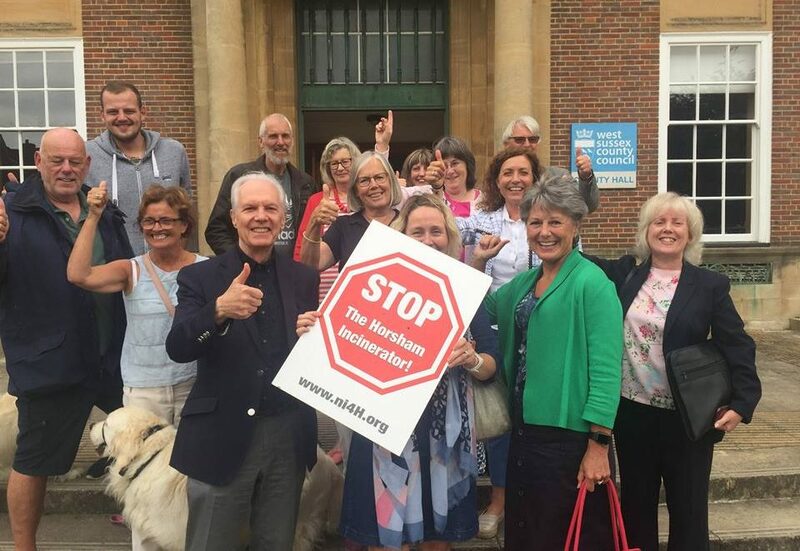 Many thanks to everyone who helped with the No Incinerator 4 Horsham (Ni4H) community group’s campaign. We are preparing for a possible Planning Inquiry and more people are welcome to join our team.